Guide To San Pedro del Pinatar, Costa Calida, Spain. San Pedro del Pinatar is a small, typically Spanish seaside resort with a population of just over 20,000 permanent residents which of course increase in number during the summer months. To get to San Pedro del Pinatar, you can either fly into Alicante airport or Murcia airport. Once at the airport you have a range of different airport transfer options to San Pedro del Pinatar including private shuttle buses, taxis or San Pedro del Pinatar car hire. Map – Where is San Pedro del Pinatar? San Pedro del Pinatar is situated on the N332 just south of Torrevieja on Spain’s Costa Calida and north of Mar Menor, this area being known as the Orihuela Costa. Mar Menor is the largest salt-water lagoon in Europe. 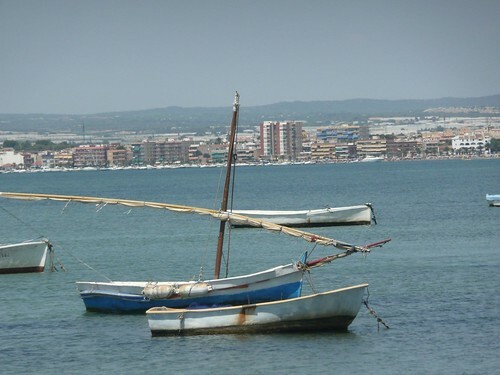 San Pedro del Pinatar is popular with northern European and Spanish tourists alike. This page contains useful San Pedro del Pinatar information for people intending to visit or holiday in San Pedro del Pinatar. 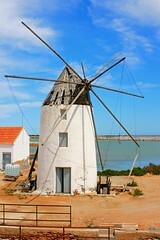 In this tourist guide to San Pedro del Pinatar we help visitors who are planning a trip with useful and practical advice on many tourism related subjects such as car hire, San Pedro del Pinatar accommodation, sightseeing, weather, where to go, where to stay, travel information, excursions and what to see and do in and around San Pedro del Pinatar. We also have photos, picture galleries, views, videos and webcams so you can see what San Pedro del Pinatar has to offer you for your San Pedro del Pinatar holiday. There are a number of historic cities within an hour’s drive of San Pedro del Pinatar – Murcia, Cartagena, Orihuela, Elche and Alicante. Also La Manga and the Mar Menor are well worth a visit. San Pedro del Pinatar is easily accessable from two airports just twenty minutes away from the international airports of Alicante and Murcia. San Pedro del Pinatar has long hot summers and mild winters making it a popular tourist destination for many types of holiday-makers. Families with children tend to come in the summer season while the winters attract many northern Europeans. Throughout the year, San Pedro del Pinatar, Spain enjoys great weather conditions. In the summer, daily temperatures average over 30°C, and even during winter, temperatures rarely drop below 15°C, making an apartment in San Pedro del Pinatar ideal for golfing holidays in the winter sun. San Pedro del Pinatar has a good amount of shops, boutiques, bars and restaurants and the weekly market is held on Mondays. The market typically sells fruit, vegetables, clothes, shoes and hand-bags. Most shopping needs can be met in the town. If not you can catch a bus to Murcia which has a great variety of shops. San Pedro del Pinatar has a marina where water sport enthusiasts can enjoy all there is to offer from scuba-diving to snorkelling, jet-skiing, windsurfing and sailing. The playa of the Mar Menor has a palm-fringed promenade with many shops, boutiques, bars and restaurants where you can enjoy all day menus, snacks and refreshments. Tapas are a favourite typically Spanish snack. There are three golf-courses just a short fifteen minute drive away. You can tee off at the golf-courses of La Manga, Roda, La Torre Golf Resort and the Mar Menor Golf Resort. To pamper yourself you can stay at Hotel Thalasso Lodomar y Apartamentos Lodomar with its spa centre. Another popular choice is the best Western Hotel Neptuno and Hotel Traina. The local tourist office offers a service where they can help you find accommodation in San Pedro del Pinatar. There are hotels, pensions, apart-hotels and hostels. There are lots of San Pedro del Pinatar rentals with plenty of San Pedro del Pinatar apartments for rent and San Pedro del Pinatar villas for rent. In San Pedro del Pinatar, you can find the Castelar International School which provides kindergarten, early childhood, primary and highschool education. It also has various services and amenities that include a school canteen and school transportation. It’s located at Las Palmas, S/N, 30740 San Pedro del Pinatar with telephone number +34 968 178 277. Whether you’re looking for a place to rent or to stay at permanently, you can take advantage of the services from the real estate agents in San Pedro del Pinatar who are more than willing to help you in finding your ideal residence. You can contact RightBuy Homes (rightbuyhomes.com, Tel. +34 868 810 123); Tel. +34 968 181 312); and CJ Real Estate & Services (www.cjrealestate.eu, Tel. +34 625 228 732). The tourist centre office in San Pedro del Pinatar can help you will local information such as maps, guides, brochures, help with accommodation and they can answer any questions you have about dates for festivals, fiestas, weather information, transport and airport transfers to San Pedro del Pinatar. Opening Hours: Monday to Friday 09:30-13:30 and 17:00-19:00. Below we have an interesting tourist video of San Pedro del Pinatar. Are you an expat in San Pedro del Pinatar? What do you like/dislike about it? Let us know in the comments box at the bottom of the page.